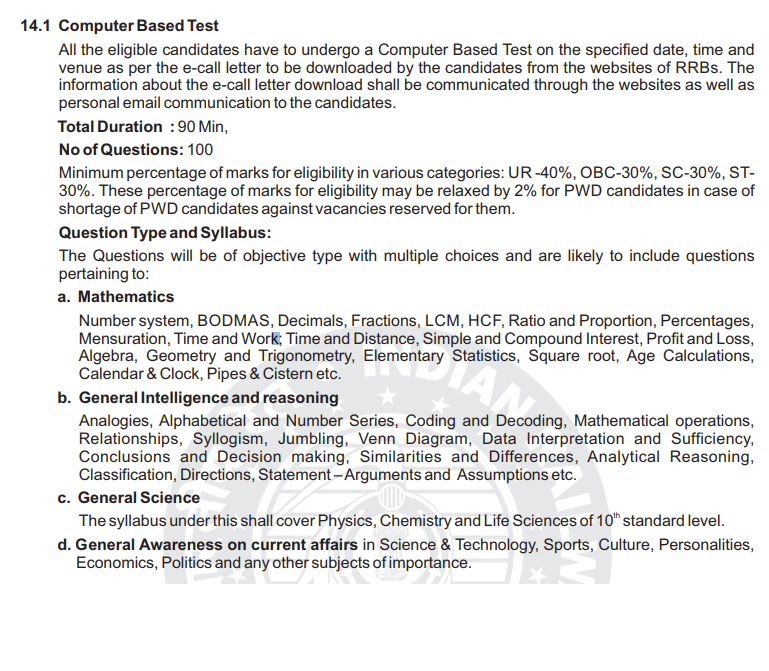 criteria can submit application forms for Group D vacancies through online using http://rrcb.gov.in/rrbs.html official website. 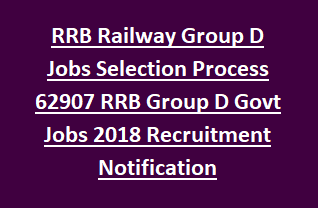 RRB Group D Application form submission starts from 10-02-2018 and last date is 12-03-2018. Selection of candidates for RRB/ RRC Railway Group D posts is based on written test, Physical Efficiency test PET, Documents verification & medical tests. Final merit candidates will be called for training. Syllabus/ Pattern of written test, Physical efficiency test details are given below. Last date for RRB online application submission: 31-March-2018 at 11.59 PM. Railway Recruitment Board RRB has released total 62,907 Group D posts. Post Names are Gateman, Porter, Helpers, Trackman, Pointsman etc. Detailed vacancies will be announced soon. Selection of candidates for RRB/ RRC Railway Group D Jobs is based on below given tests. Written exam will be conducted for 100 questions, duration of exam is 90 minutes. Question paper will be set in Hindi, English, Urdu. Negative marking for each wrong answer is 1/3 marks. Candidates who have qualified in written exam will be called for Physical Efficiency test. 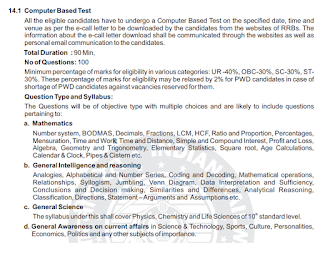 Separate call letters indicating date & time of Physical Efficiency test PET will be sent to the shortlisted candidates. Running: 1000 meters in 4 minutes 15 seconds in one chance. Running: 1000 meters in 5 minutes 40 seconds in one chance. PwD candidates are exempted for appearing Physical Efficiency test PET. For more details of PET test go through the RRB Notification. Candidates qualified in PET & written test can attend document verification. Candidates eligible for Documents verification are referred for Medical Test. Final selection will be on merit basis in written examination, Physical efficiency test, documents verification & medical test. Qualified candidates will be called for Group D posts training.